Thanks to CRISPR, we can edit the source code of life itself. Here's why that's not scary. In science, nothing is immutable. Space can be warped by massive objects. Time can speed up or slow down based on how fast you are traveling, and of course, even life itself alters from generation to generation. The universe is in a constant state of flux and change. But, and this is the notable thing, for the first time in history, we have the ability to truly dictate change on one of the most fundamental levels we know of—thanks to recent advancements, we can alter DNA, the source code of life itself. We can target and change a gene from any cell of any species without interfering with any other genes. This is made possible because of a new genome editing technique known as CRISPR, which allows us to cut out and insert genes with unprecedented precision. With it, we can target and change a gene from any cell of any species without interfering with any other genes. Moreover, this technique isn’t just remarkably precise, it’s remarkably cheap, which means that virtually anyone with the necessary knowledge can utilize it. To that end, CRISPR has ushered in a new era of genetic engineering, one that could allow us to protect our crops from drought and infestation, erase genetic diseases in humans and other species, and (perhaps) even reverse aging. However, there are a lot of people who fear genetic engineering, who see CRISPR as a threat. Ultimately, part of the problem is that people don’t really understand how genetic engineering works. They imagine scientists in stark white coats splicing species and creating new (and terrifying) organisms. But the reality is far more mundane. 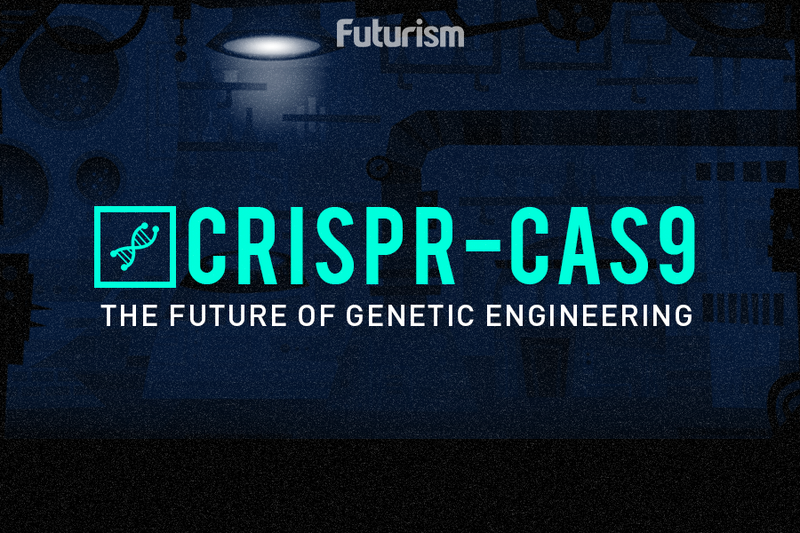 So how does CRISPR really work? Perello asserts that speaking about “editing the source code of life” (naturally) gives people pause; however, it’s really far simpler than it sounds. This focal point (of honing in on errors that are present) is a fundamental part of our current CRISPR practices largely because of our current understanding (or lack thereof) of DNA editing and the novelty of CRISPR. This is a new technique and, thus, the methods are constantly changing and updating. “No one is fully aligned on what method works best, and there are different rules for different cells and species, none of which we know really well” Perello adds. To break down what we do know, CRISPR works by honing in on specific segments of DNA that scientists want to ‘inactivate’ and cutting these portions of DNA. So, in theory, we could eventually ‘cut out’ genetic diseases altogether; however, we are currently a long way from doing that. At the present time, scientists are working with cells to see the impact of specific modifications. An enzyme called Cas9. This acts as a pair of ‘molecular scissors’ that can cut the two strands of DNA at a specific location in the genome so that bits of DNA can then be added or removed. Apiece of RNA called a guide RNA (gRNA). This makes sure that the Cas9 enzyme cuts at the right point in the genome. The guide RNA is designed to find and bind to a specific sequence in the DNA. The Cas9 follows the guide RNA to the same location in the DNA sequence and makes a cut across both strands of the DNA. At this stage, the cell recognizes that the DNA is damaged and tries to repair it. The DNA repair machinery in a cell is not 100 percent perfect, and often there will be a few bases that are lost around the site of the cut when it is repaired. This loss of bases represents a permanent change (mutation) in the genome and will affect the activity of the gene in which it is located. This may mean the gene doesn’t function properly or doesn’t function at all. Scientists can use CRISPR-Cas9 to target and mutate one or more genes in the genome of a cell of interest. So we shouldn’t fear the work that scientists are doing with gene editing, as the work is really just about increasing our understanding and gaining knowledge…so that we can, one day, have our golden age of biotechnology and have the sci-fi treatments that we’ve been waiting for. But How Do We Move Forward, Sans Fear? While Perello and other experts in the field emphasize that we should not fear gene editing, clarifying that current regulations ban the use in viable embryos, and that the work currently being done is focused on improving processes and gaining a better understanding of DNA and CRISPR, as we move forward, they assert that we need to keep the execution in mind. “It’s really difficult to argue with the idea of getting rid of all genetic disease,” Perello states, “however, the work must be fully transparent and informed by the public.” Although global initiatives will be difficult, transparency can be attained with relative ease (and is) through the various regulatory committees and peer review processes currently in place. To that end, a strict set of rules and regulations regarding gene editing are already in effect, and to date (as far as we can reasonably know), no one has breached these protocols. And there is no reason to assume that all our regulatory committees will vanish, scientific discussions will end, and individuals will be running amok with gene editing. Indeed, contrary to popular belief, although CRISPR is much easier than other methods of gene editing, it is not easy. Only the most highly trained individuals are able to execute it, and even then, they require a vast amount of assistance from other experts in other fields in order to run successful experiments. To that end, rogue mad scientists editing the source code of life are rather unlikely to crop up. So be informed, but don’t be afraid.